When feeding the lambs I realized 3 were missing and could hear them calling from the far side of a fence in my neighbors field. Once there I saw that 1 was caught between the fence and a bit of wall. 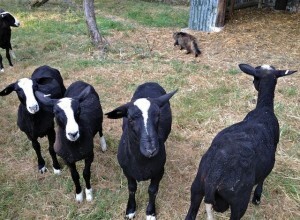 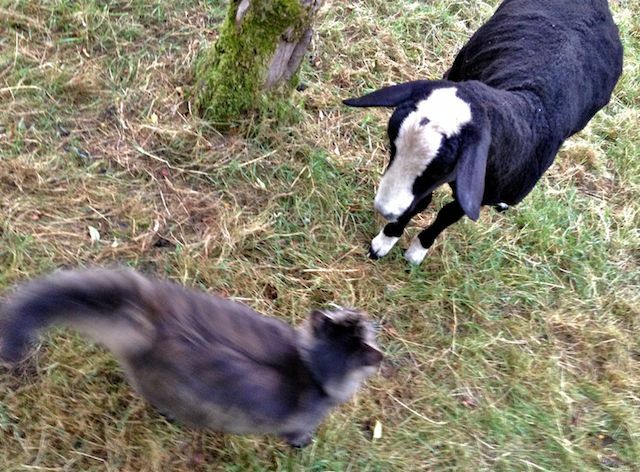 Bodacious was very worried about the lamb and helped me inspect what we would to to get it free. 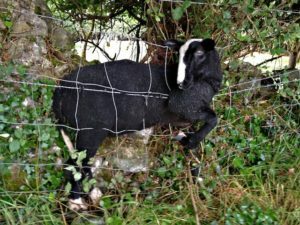 While Mr. B was inspecting the stuck lamb another lamb jumped up on the wall giving Bodacious a fright so he jumped into the field to help give assistance from the side I was on. 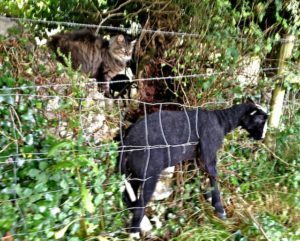 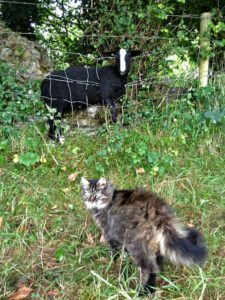 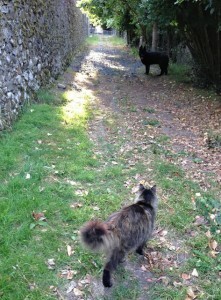 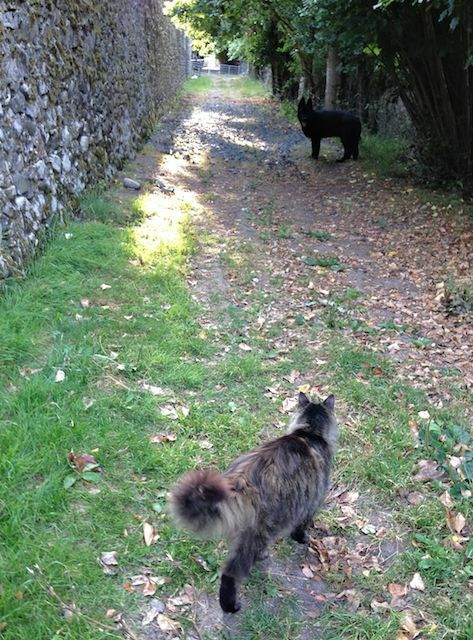 Moving slowly and quietly so as not to panic the trapped lamb I managed to free it with the assistance of Bodacious the cat shepherd. 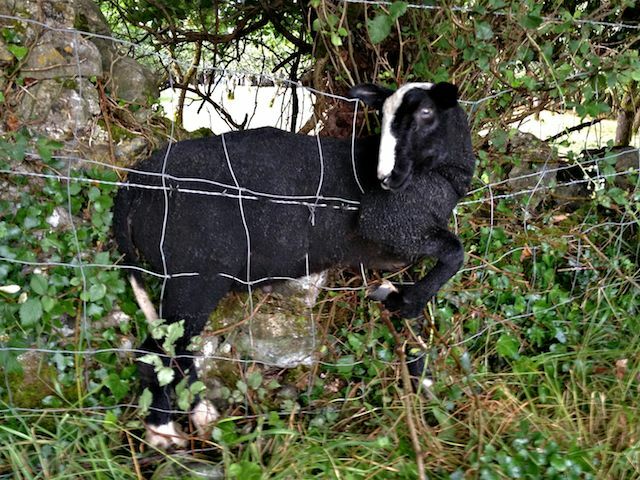 I then managed to corner and catch the other 2 escapees so all were returned to the safety of their field. 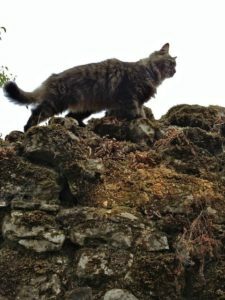 Here is a short film I did with my iPhone about the Cat shepherd and I working together rescuing the trapped lamb. 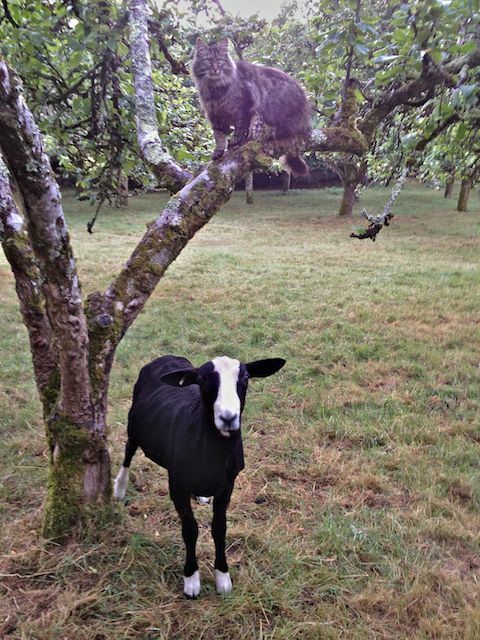 Mr. B jumps down from the tree after doing his head count, and scolds one of the escapee’s before he walks off, his evening work done.